Congratulations to David Bolson who was recognized as a Major Donor to the Rotary Foundation this year. 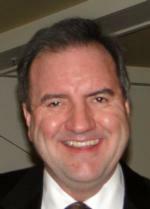 Our thanks to David who has been a tremendous Rotarian both in service and with his financial commitment to the Rotary cause. District 5030 Governor, Alex Hopkins, recognizes BBRC for achieving Foundation Giving goals in 2016-17. We accomplished EREY at $100 per captia and $100 average giving member participation. Well done BBRC for your support Rotary Foundation and for the Foundation Committee’s success in helping our club over the finish line! Congratulations to BBRC Rotary members for achieving EREY in donation to the Rotary Foundation. A huge win for our club and the RI Foundation, as we help to make an impact both locally and internationally in Service above Self. 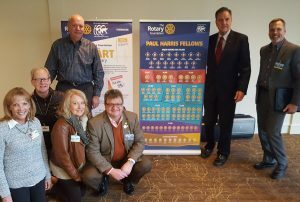 We also took the opportunity to recognize many of our members for their continued commitment as Paul Harris Fellows – our thanks to each of you of your contributions. 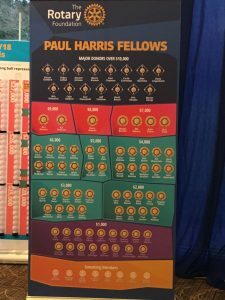 We took the opportunity to unfurl our new Paul Harris Fellows banner to celebrate all award recipients. We are on track to have increased our giving by 8% over last year and this represents an increase of 10% per member in individual contributions. We are on track to deliver $33K to the RI Foundation. Well done to everyone in helping us to reach EREY for this Rotary year. In 1985, Rotary launched its PolioPlus program, the first initiative to tackle global polio eradication through the mass vaccination of children. Rotary has contributed more than $1.7 billion and countless volunteer hours to immunize more than 2.5 billion children in 122 countries. In addition, Rotary’s advocacy efforts have played a role in decisions by donor governments to contribute more than $7.2 billion to the effort. To support this effort and the upcoming Rotary EndPolio Day, BBRC held a meeting where we honored the work of Pakistan in its eradication efforts, promoted the B&MG Foundation’s celebration on October 24th and we also learned about polio survivor’s journey dealing with the impact of this virus – we appreciate Paul Jeganathan’s story and learning about Polio Outreach’s work. There is still much to do, even with being close to stopping polio and you can learn more by clicking the yellow button. Thanks to your generosity during our Rotary Foundation Centennial year we raised $304 million to support positive, lasting change in communities around the world. Raising a record $31,000 (an average of over $330/member), the BBRC is once again an “Every Rotarian, Every Year” club with 100% of our members contributing. We reached this target an amazing six weeks earlier than in previous years. The Rotary Foundation - Saving & Changing Lives! 97% of our club membership has made a pledge commitment! We anticipate achieving 100% giving in the coming days. Thank you to our Foundation Committee and each of our club members for making The Foundation Month of November a resounding success!! 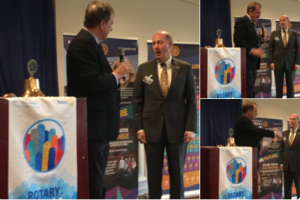 72% of our club has made a pledge commitment or contribution to The Rotary Foundation! As you have witnessed over the past several weeks, The Rotary Foundation is saving and changing lives. If you have not already done so, please help our club achieve our goal of 100% pledged by this Friday, December 2nd. Every dollar makes a difference in a life and provides leverage for matching funds! It is as easy as completing pledge form, or simply bring a check to this Friday’s meeting – payable to The Rotary Foundation. 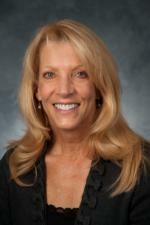 The Rotary Foundation Committee will again have a table at Friday’s meeting to assist you in completing your pledge. RI Foundation Month - Have you contributed yet? 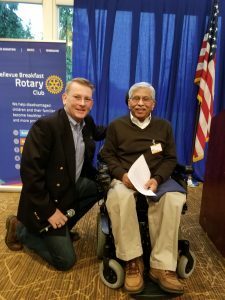 Some reasons to participate in Every Rotarian Every Year – polio, computer projects, water projects, and kids with toys made from a dusty water-bottle. No updates at the moment, Log in! No projects at the moment, Log in!